Officials from the Maryland State Department of Education told lawmakers they are expecting the results of the new PARCC exam to serve as a new baseline for assessing student performance, and itemized results will show individual students’ areas of deficiency. In a presentation Wednesday to a joint meeting of education subcommittees from both the Maryland House and Senate, the state Department of Education outlined its expectations for the test results and areas of improvement for coming years of testing. The Partnership for Assessment of Readiness for College and Careers, commonly referred to as PARCC, was administered for the first time last spring in 11 participating states and the District of Columbia. The controversial exam aligns with the Common Core State Standards and some are concerned about educators teaching to the test and the amount of classroom time spent testing and preparing for it. Cheryl Bost, vice president of the Maryland State Education Association, said there are concerns about the disruption testing causes to classroom schedules and student learning, from the amount of time spent both preparing for and taking the exams. Jack Smith, the interim state superintendent of schools for the Department of Education, said that the PARCC results will include itemized student reports with section subscores and individual question analysis. Breaking down an individual’s score will help show educators areas where students need to improve and year-over-year growth. Using the results, teachers can see how students performed, question by question, and show a student’s area of deficiency, according to Bill Reinhard, a spokesman with the Maryland Department of Education. Past state tests had less detailed results, he said. Many teachers found the results of past tests provided little information for helping individual students. The PARCC exam tests students more in depth than previous state tests, and asks them to take information and analyze it before answering questions. During PARCC testing this year, 575,000 students participated, with 80 percent taking the test online. Next spring, during the second year of testing, schools will administer the PARCC in one testing window. During the first year of testing, students had two testing windows, with one in March and the other in May, said Henry Johnson, acting chief academic officer for the state Department of Education. 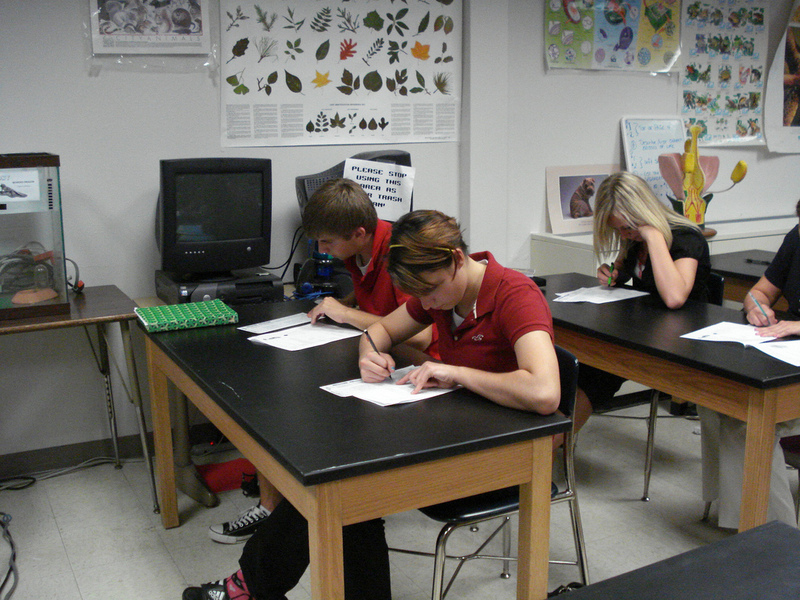 Depending on their grade, students will spend between one and two hours less taking the test, according to Reinhard. By the 2016-2017 school year, Johnson said, students will need to pass the PARCC to graduate high school, though officials have not yet decided the minimum score. Ebersole, a recently retired math teacher with 35 years of teaching experience, said testing can have a “hidden impact,” where time spent testing can disrupt students and grind classrooms to a halt. The delegate was the House sponsor of legislation that created a commission to study the amount and impact of testing, but the commission has yet to meet. The Maryland State Board of Education plans to release and discuss scores for high schools on Oct. 27 and for elementary and middle schools on Dec. 8, with individual scores mailed home in mid-November and mid-December, respectively.